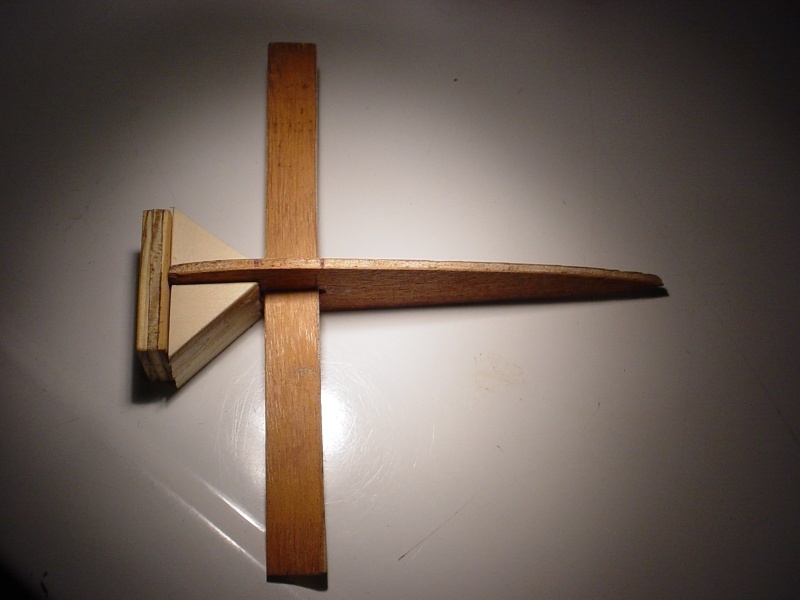 Did you ever finish and fly this experiment? fredvon4 wrote: Did you ever finish and fly this experiment? My gallon-size freezer-bag small airplane WIP storage system. 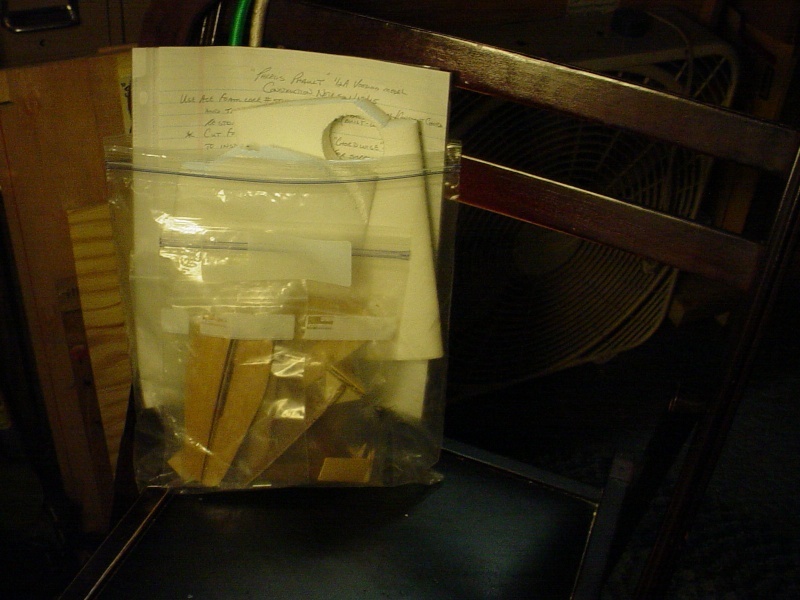 I used to save the paper 5# Domino sugar bags to store tanks, hardware and such while painting/rebuilding a model. I have several such bags with parts in them.. in a box.. somewhere around here. Somehow I got the urge to work on this model yesterday. Not much to show here.. but what I had to do was difficult. The unpainted side of the stab needed to have those screen hinges attached.. and the only way to do it was to assemble the booms with the AL-tube hinge-pins. I used a common (sewing) pin to pull the screen tight and tack it to the stab while I spread thick CA through the weave. I sprinkled some baking-soda over the CA to speed the cure while working under a lighted magnifier..
Now I'll need to "fair" them into the stab by filling and sanding.. which will be even more tedious now that it's assembled. 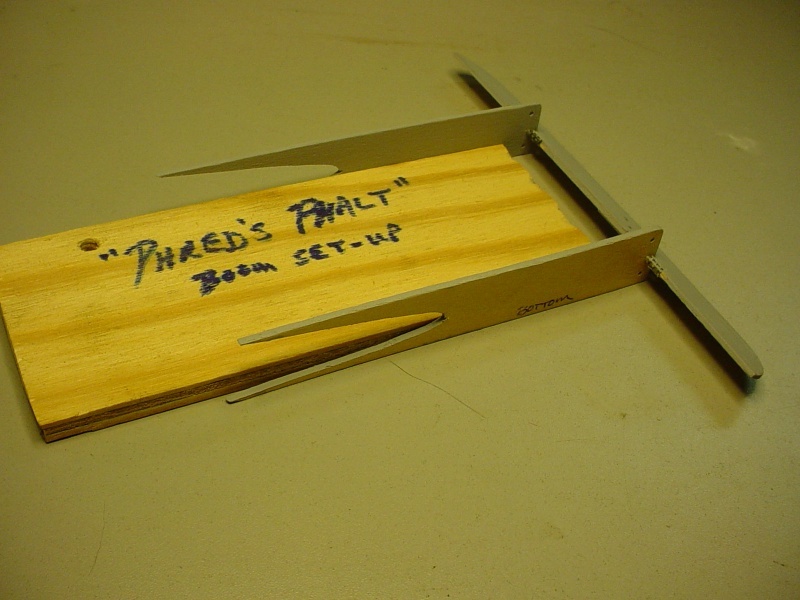 I suppose I'll need to make a fixture that the booms will sit "down" into.. and "pin" the stab onto some suitable base to keep it rigid.. or else I risk breaking something. Hey Phred, I'd give my left nut to be able to attend S.M.A.L.L., so I hope you guys take lots of photos! Good luck with the "Sort-O-Satan"! I don't recall your line-length.. but I'd guess 35 feet? I need to be mindful with proceeding in a methodical way with this airplane where I've let it sit for so long. I have "chicken-scratch" notes accompanying most of my builds.. along with zipper-bags of prototype parts.. that may or may not be used. This boom assy. for example; was going to be painted complete, prior to assembly.. but that wouldn't have been a good idea. I'm still faced with painting it assembled; after I fill and sand the fiberglass-screen hinges. Currently; the hinge-barrels (1/16" aluminum tubing) move freely inside the screen and the boom-holes. The stab. will flop to and fro with gravity. The stab. 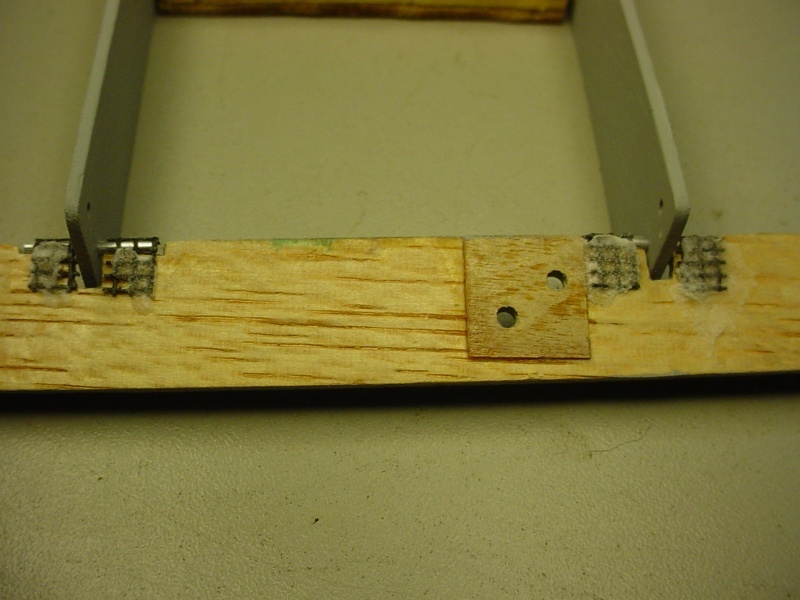 is notched to hold the pins captive.. but it might be better to bind the pins to the screen and stab.. so that the pins rotate in the boom-holes only. I'm concerned about the pins locking-up in the boom-holes when I paint the assembly. There didn't seem to be any way around it.. other than "waxing" the pins beforehand. Maybe I could melt drops of wax onto the pins to keep them from sticking.. We'll see. I'm very tempted to rush finishing this (as well as my T33 speed model) out of embarrassment. I think I'm going to let that urge overcome my tendency to overthink and procrastinate. You guys can hold me to this statement! My booms lack an insert-bearing.. if that's what you meant. I saved your photos for future reference. Thanks Fred. The tail-booms and stab. are 50% scale Voo Doo outlines exactly. The booms aren't plywood though. They're cut from hardwood craft-sticks. Is slow-cure epoxy the best choice for gluing wood to foam.. or are there other (or better) alternatives? I use 30 minute epoxy. First I use a toothpick to dot the hinges with vaseline. 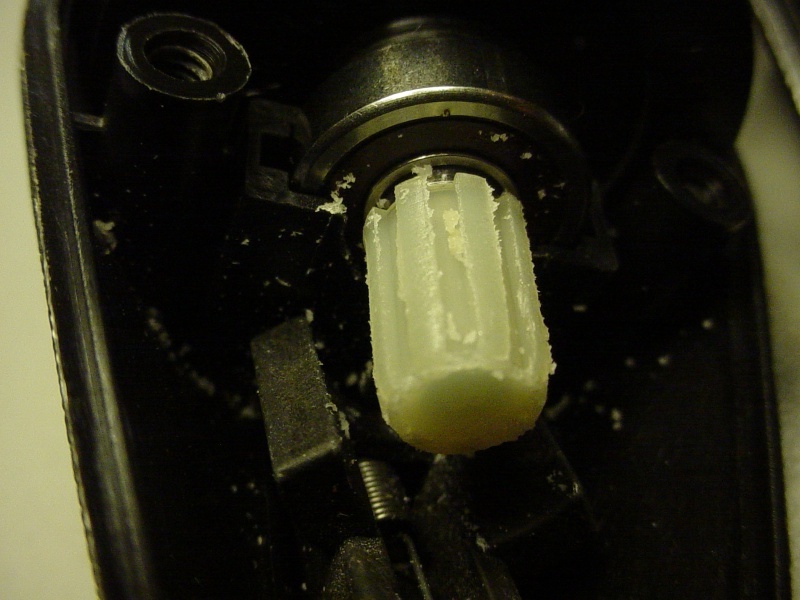 Then hit them quickly with a heat gun and the Vaseline disappears into the hinge barrel. 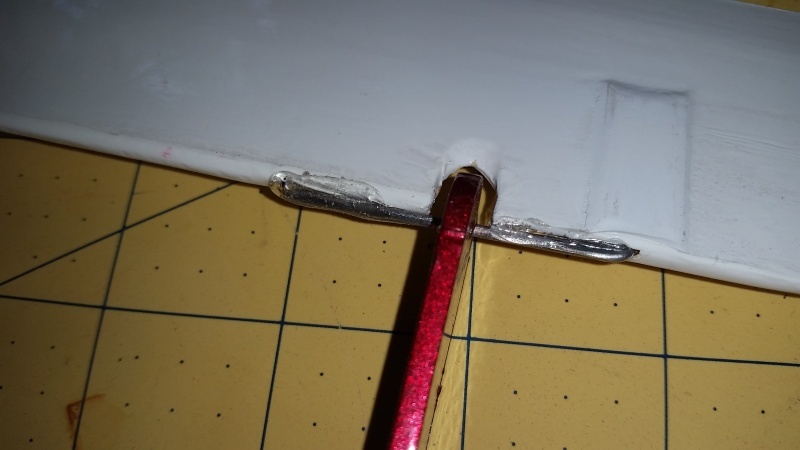 It's hard for me to use little enough epoxy, so I have to wipe it as it scoots out during hinge insertion with the corner of an acetone damp paper towel. That's with Dubro hinges, you probably won't have that problem with your configuration. RknRusty wrote: I use 30 minute epoxy. First I use a toothpick to dot the hinges with vaseline. 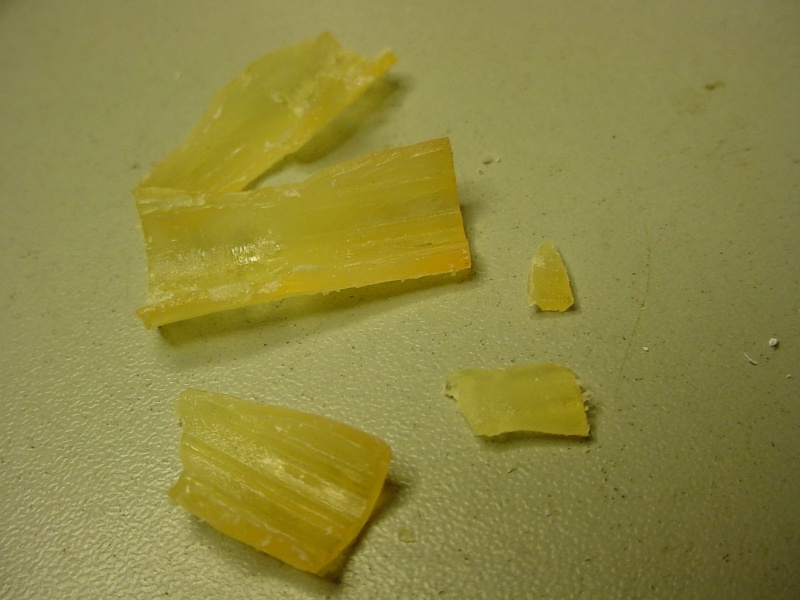 Then hit them quickly with a heat gun and the Vaseline disappears into the hinge barrel. 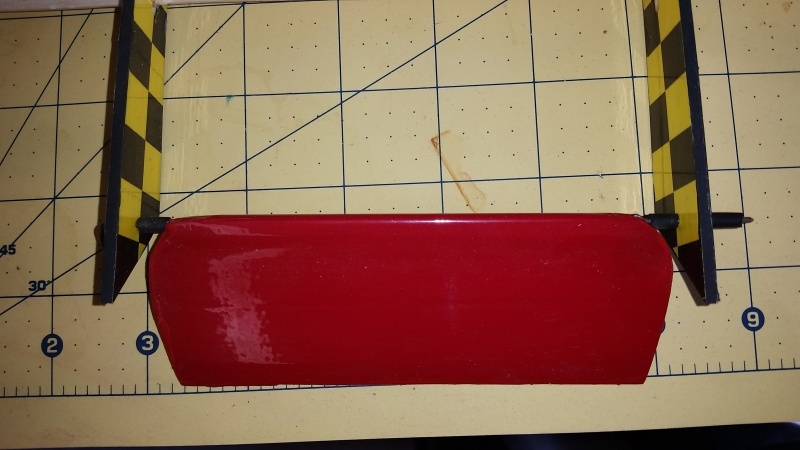 It's hard for me to use little enough epoxy, so I have to wipe it as it scoots out during hinge insertion with the corner of an acetone damp paper towel. That's with Dubro hinges, you probably won't have that problem with your configuration. 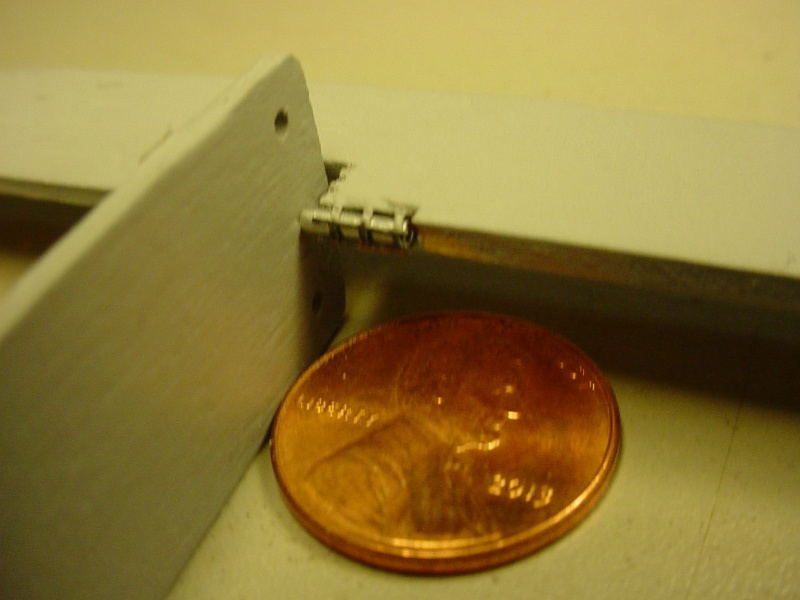 Hey Rus, I think I'm gonna be ok with my hinge-pins.. but may try your idea with a tiny bit of Vaseline on a toothpick where they pass through the boom-holes. I probably should have coated the pins with something before I installed them. Thanks Fred. Looking back through this thread.. Ken had also recommended Gorilla-Glue.. which I "have".. and think I'll try on some assemblies, instead of mixing epoxy. So.. after a year and a half, I finally conjure-up the testicular fortitude to cut the channel for the lead-outs. 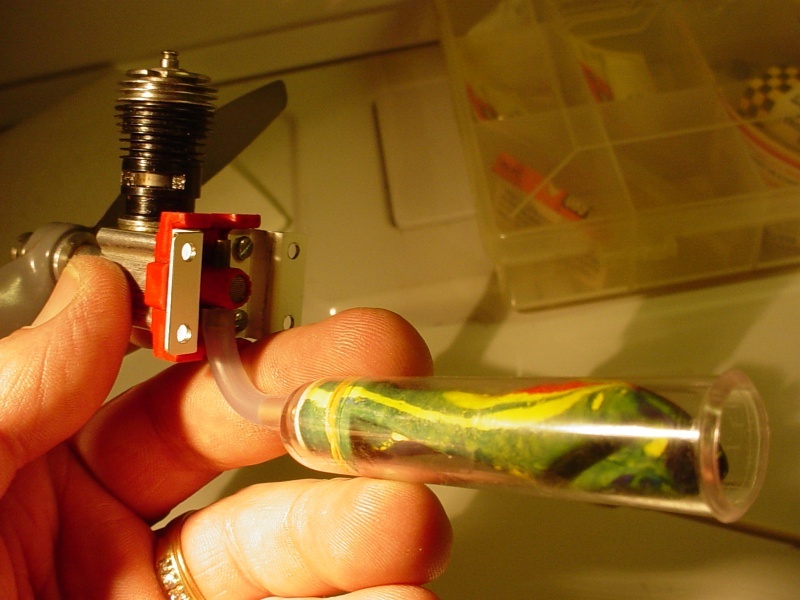 Check my depth to the bottom of the guide-slot in the tip as a gage.. good. Commence to rout the channel.. going much smoother than I expected.. AWESOME! But then.. the dremel-tool clicks slows down and stops before I can finish. So I unplug the tool, clean the foam dust from everything and check the motor spindle. It turns freely.. ok. Plug the tool back in and turn on.. The motor starts.. but the spindle isn't turning. The output-shaft must have sheared.. Thanks Phred.. This is a model 395.. and what really kills me.. is that I hadn't used it since my Dad gave it to me. It was his.. and I know that he probably only used it once or twice. I was running on #2 slow-speed when I heard what sounded like a snap. The shaft-lock still engages.. so it didn't break there. I'd rather get another #395 so I can use the router attachment. Maybe I can find a NOS/used one for cheap. Here's what I found when I took the #395 Dremel apart. 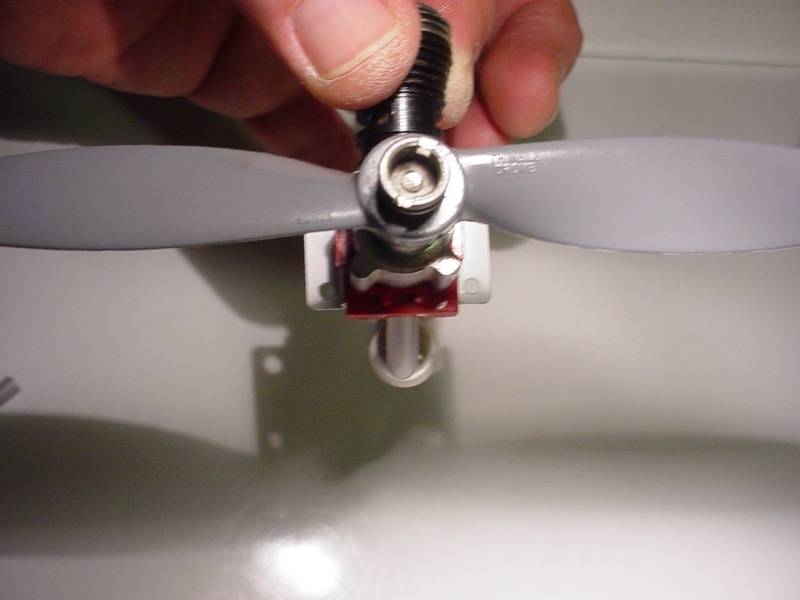 This broken part is not of a rigid plastic.. but rather a soft; almost "waxy" consistency. 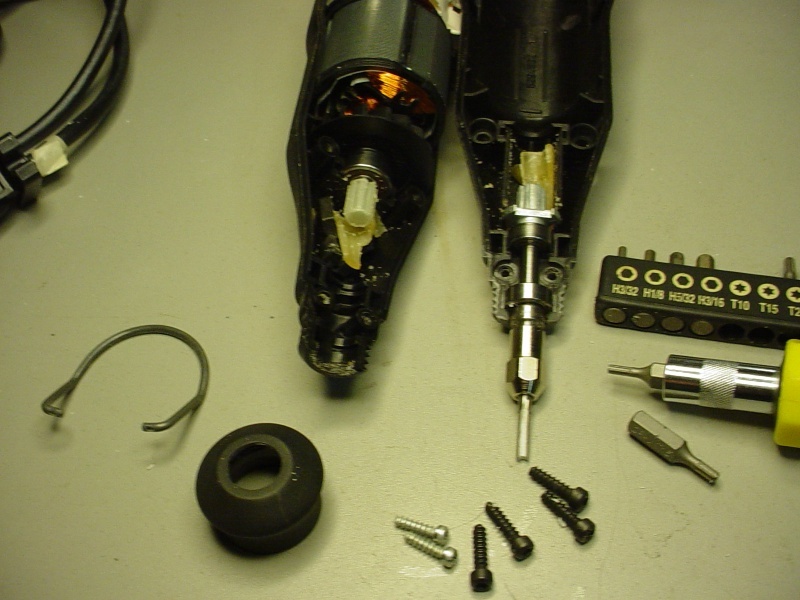 Seems to me.. Dremel should still stock this part.. or an upgrade made of better material. I think it is part nr5 that you need, only 2,99 USD!! I hope you can your Dremel fixed. I like your work on the wing. Never seen before. Yes.. that's the part Lieven. Thank You!!! At that $$.. I should get a couple.. maybe 3. I think it would be worth it. The tool otherwise looks to be in fine shape. I'll bet the motor-brushes aren't even seated yet. I checked out Dremel's web site.. and it's just as Fred explained. They'd probably send me a reconditioned upgrade that likely wouldn't fit into my router attachment. Luckily most of that wing channel has been cut. I'll take a flat rasp to that section near the tip.. and finish off with a small sanding block. 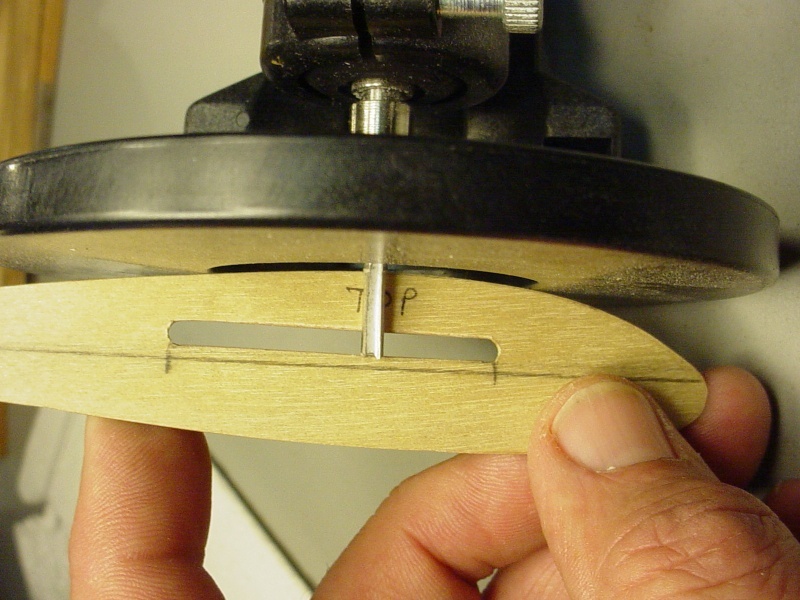 I can use a thin steel straight-edge and pencil-iron to melt a slot for the pushrod. On a positive note.. 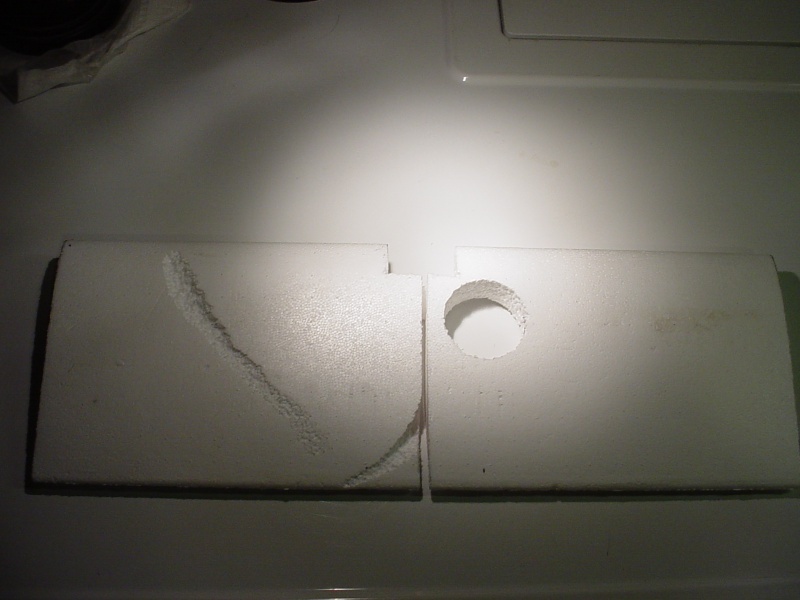 I have the foam-dust swept into a bag to use as a filler for where I bungled the wing on the table saw a while back.. I'm thinking white glue.. maybe thinned, to mix the foam-dust for filler? The coupler failing is quite a common problem with the Dremel but Bosch, I believe they bought Dremel, still stock spare couplers. 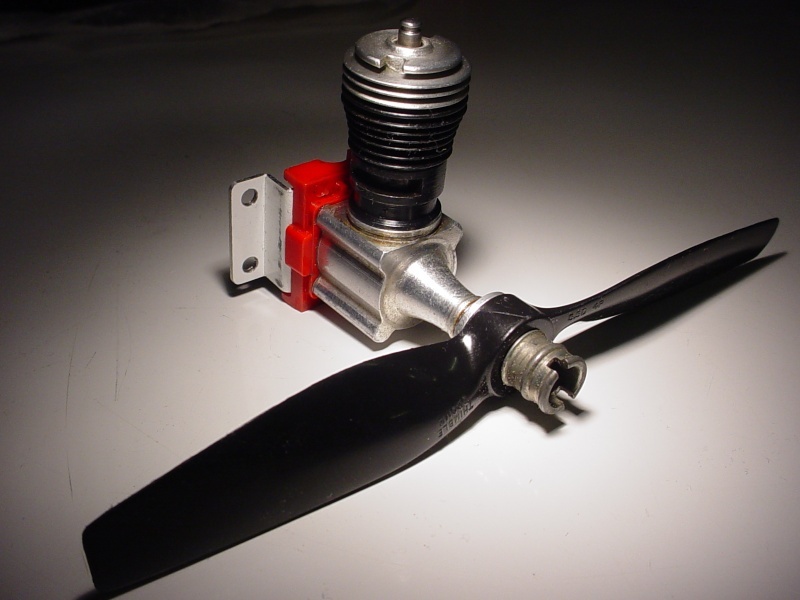 The coupler is meant to fail to stop the motor stalling and burning out. However, they also deteriorate with age (me too!) 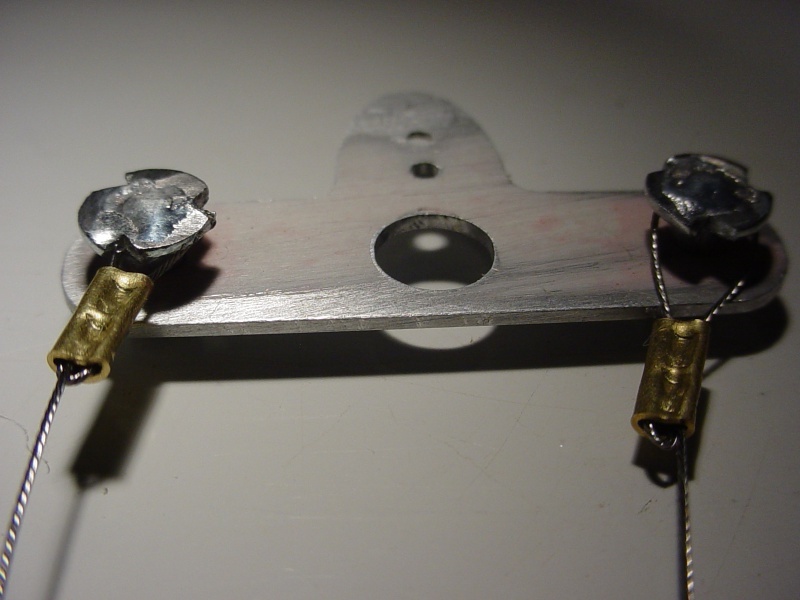 - I suppose there is a fine line between having a coupler made of a material that lasts and one that will break to save the motor. You will see that the material on the newer replacement parts is different. It is worth repairing - the older dremels are far more reliable than the newer ones. I have a Dremel 300 and it is fine hand held but the speeds aren't variable, it vibrates and the drills wobble in it. It is not good for accurate holes in metal. 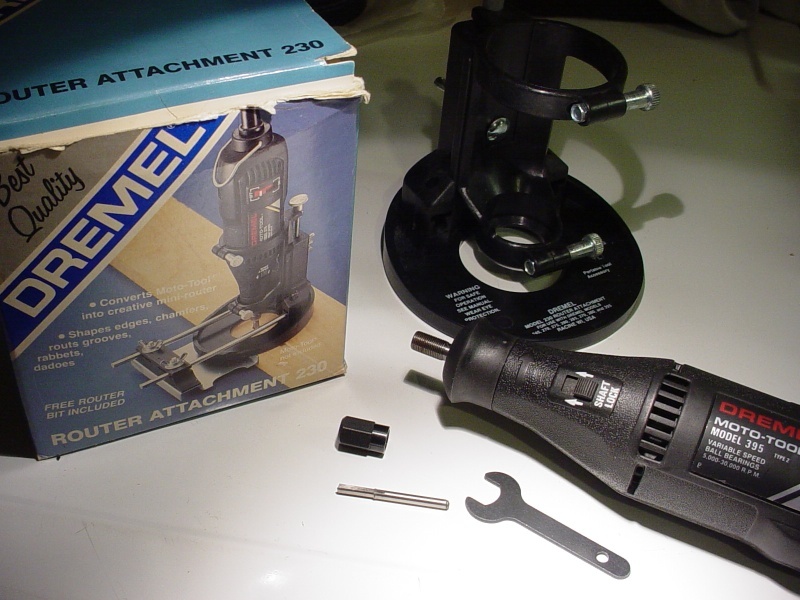 The older Dremel I had (which was a 395) lasted many years - I wore it out by using it to rout holes and cut ceramic tiles. We are talking quite a saving and it is across the range of Proxxon tools! Don't know why! 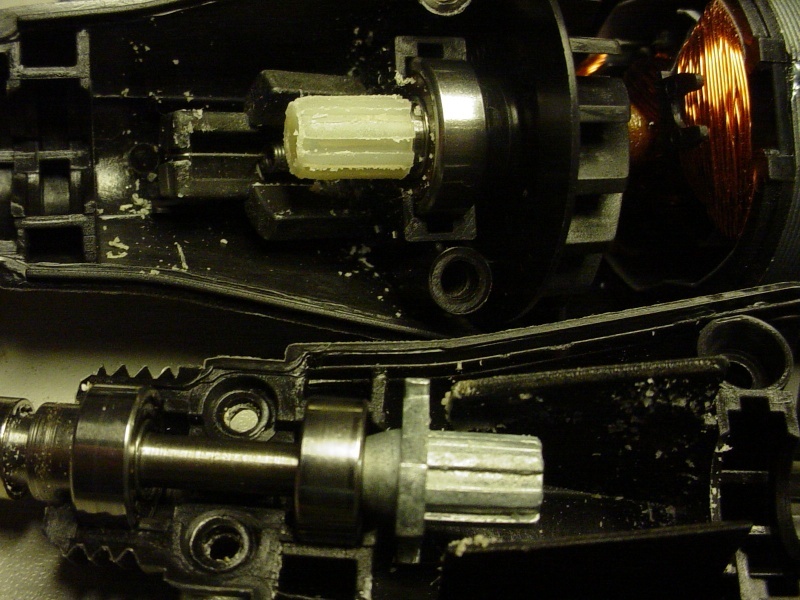 This video shows the difference between the Dremel and the Proxxon. Thanks guys.. I really appreciate the comments after such an abandoned build as this. I'll try my best to keep up the momentum. Ron Cribbs is coming to Rhode Island this late Summer to do some work at *Quonset Point* .. and I'd really like to have a handful of airplanes to fly while he's here! Ian, I want to fix my Dremel tool. Hopefully the replacement coupler is of a more durable material.. because NOS spare parts would be subject to the same degradation. Maybe Bosch upgraded the mat'l. spec on the coupler when they acquired Dremel? I can understand it being a "sacrificial" part of the assembly.. but most people who would buy a rotary tool, would be conscious of a motor-stalling condition. The material that was used for my coupler could very well be considered as substandard.. with a high rate of failure. 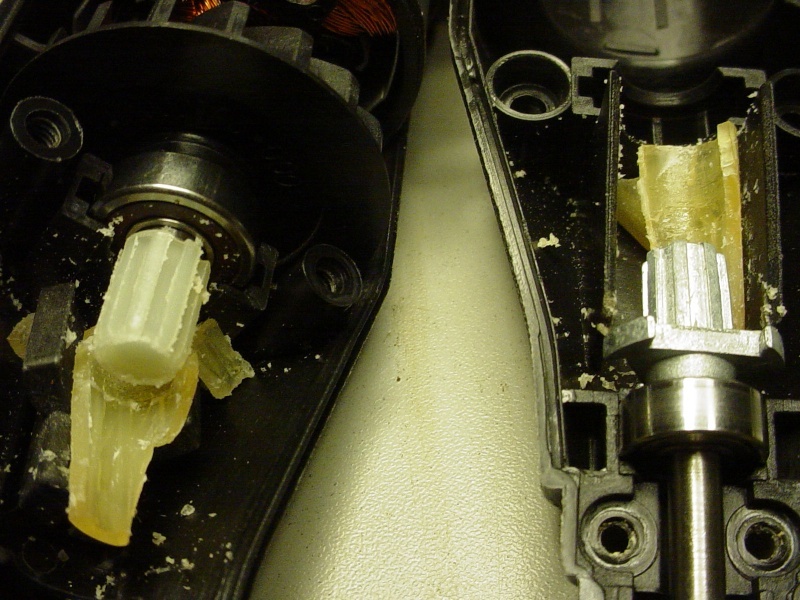 Warranty claims were likely numerous in cases where the tool was used rigorously in the first few months following purchase. I would expect a tool such as this to develop a bearing failure.. or have the motor-brushes wear-out.. before what I experienced. Phil, Thanks for the tip on the filler. I'll naturally want something that won't expand. I bought some "Elmer's" white glue recently.. because there's none in the house.. I also have Aliphatic Resin. Neither of these have the tendency to expand.. but if given the option; ease of sanding is important to me. I'm not sure now; how I'm going to cover the wing. The tips are wood.. and I'm tempted to cover them separately with regular mono-kote. I have a roll of white low-temp covering that I can use for the foam.. but I asked a question recently about adhering silkspan to the foam.. as a barrier to protect against finishes that might attack "raw-foam".. so I need a little more feedback on that. Just to recap.. my wing is cut into two 7.75" panels.. with 1.25" tips for a 18.0" span. 50% scale Goldberg Voo Doo. I have a central 3mm luan-ply rib which joins the halves. This rib is trimmed short at the front to accommodate a 1/4" ply radial engine-mount plate, backed up by triangular 3/4" ply wood gussets. 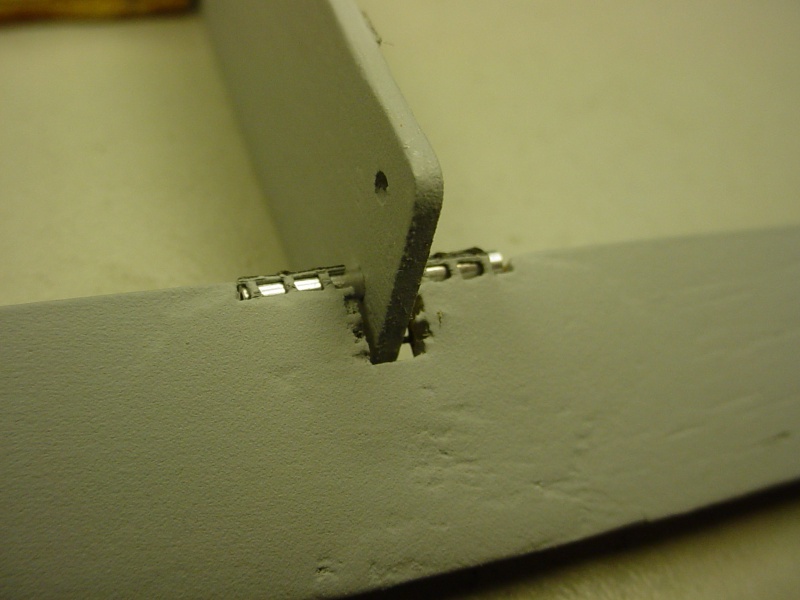 This rib is slotted to receive a central 5" spreader-plate/spar of the same material.. to provide a bellcrank-mount inside the inboard wing-panel, and extra reinforcement for the outboard wing-panel. 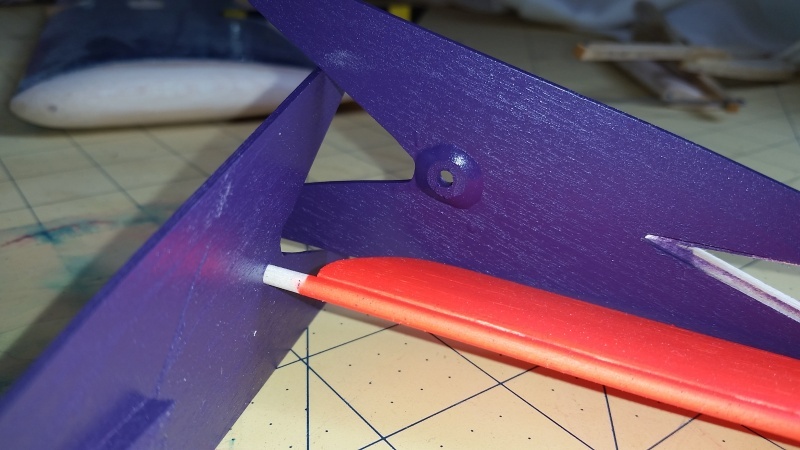 This central rib/engine-mount/spreader-plate will be imbedded into the two wing-panels with an adhesive.. either epoxy or polyurethane.. and capped on the top-side with laminated balsa, flush with the top-side of the wing surface. Me being me.. I'm trying to think ahead with fuel-delivery to the planned Cox .049 reedy with "postage-stamp" backplate. The engine is planned to be a vertically-oriented cylinder and needle-valve; leaving the belly free to accept a fuel-feed. These are the .040" aluminum mounts for the old production backplate that I made a few years ago.. I still want to go with an under-belly capsule for a balloon-tank. This will require installation of brackets for the capsule. I'm planning on two .015" m/w "hoops" bound to the bottom of the central rib, to hold the balloon capsule. I can do that at this point in construction fairly easily. I can always snip the wires off later, if it doesn't prove-out. It would however; be aerodynamically efficient. I'd really like to be the first guy that I've seen here; since "I've" been a CEF member.. to utilize a postage-stamp backplate in a scratch-built model! The gorilla white glue will sand just fine. It will need a coating of some type after it is done. 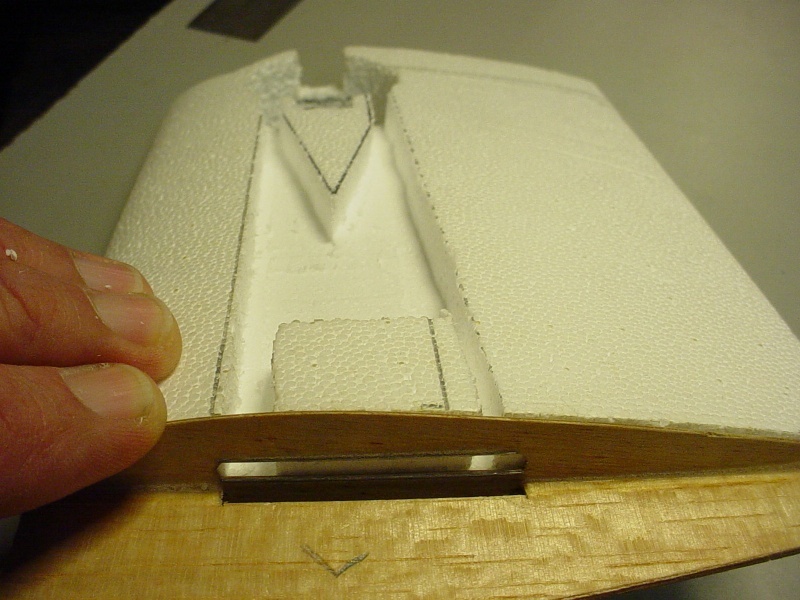 The tape is temporary, and makes the mold for the polyurethane foam to fill. 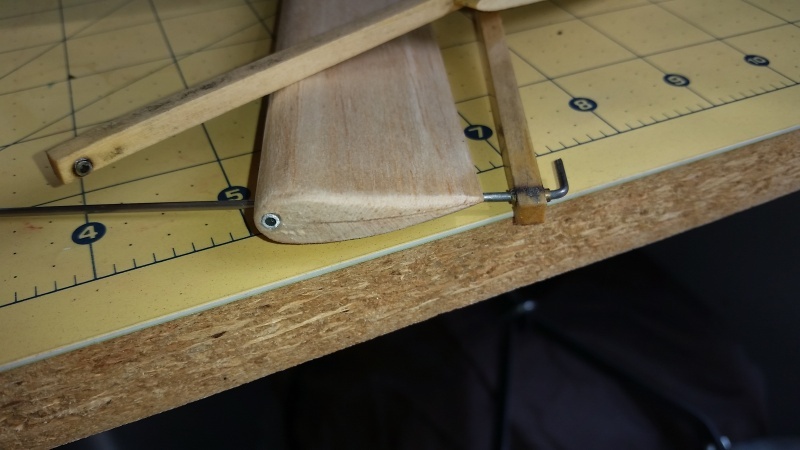 I have repaired sanding gouges in balsa LE material with this method and after paint can't find the damage even though I know exactly where it should be! After reading "your" post.. I was very tempted to try making a coupler from some 5/16" ID clear vinyl tubing.. but decided that it would be safer to obtain the replacement part. I bought x2.. for less than $12.00/shipped. I should receive them before the end of next week.. and until then, there's plenty of other work I can do on the model. The bell-crank is one that I made.. and has buttons. I need to re-make the lead-outs with smaller loops that won't slip-off the button-heads. It's either that.. or cut-down one of my Sig 1/2A nylon bell-cranks.